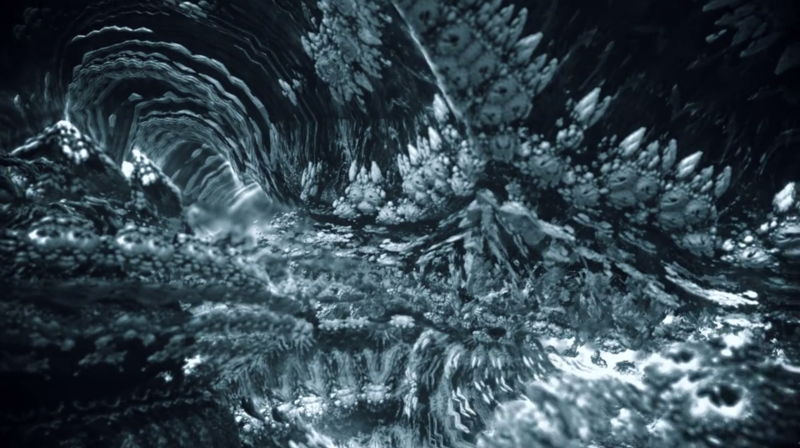 Isometric is the latest video unveiled by Fraction and directed by Julius Horsthuis. Taken from his latest EP “Planète Humaine” their collaboration has given birth to an immersive, delightfully kafkaesque metamorphosis. Fraction : This track is really about transformation, mutation. I´m quite fond of designing music composition as if it was a coherent matter that would morph along time, that would subtlety move towards a final stage, although you have different timbres, and spectrum which are not supposed to be distorted like that in music. Distortion and mutation are at the heart of my focus right now. I also felt a deep hypnosis potential for that track but it required a strong visual creation. How did you find out about your respective works ? Fraction : I met Julius quite recently in a festival where both of us where presenting works, in a full dome. From there, I discovered his work, and it was such a shocking revelationPaul : I saw the show Entropia, for which Eric did the live music. A really hypnotizing piece that I loved. Perhaps because it was in a dome, this arc- theme somehow stuck with me, and I thought a giant pullout with moving and morphing arcs would be interesting. And you just fractalized it ! Fraction: Yes indeed, I saw a fractal recombination or transmutation, a place where no precised references were possible, a place where you have no up and down, and where nothing look familiar. A place where you lose yourself, looking for an exit that doesn't exist in a perpetual morphing scape. Julius brought his visual work to the sound. 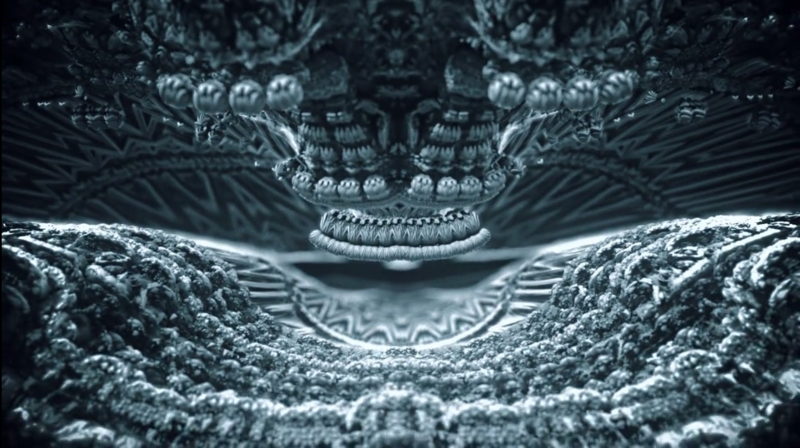 In the video, you travel in time and in distortion, and suddenly you found yourself surrounded by sibylline patterns. Suddenly, it became one entire coherent piece, as if the visual always existed for the music. 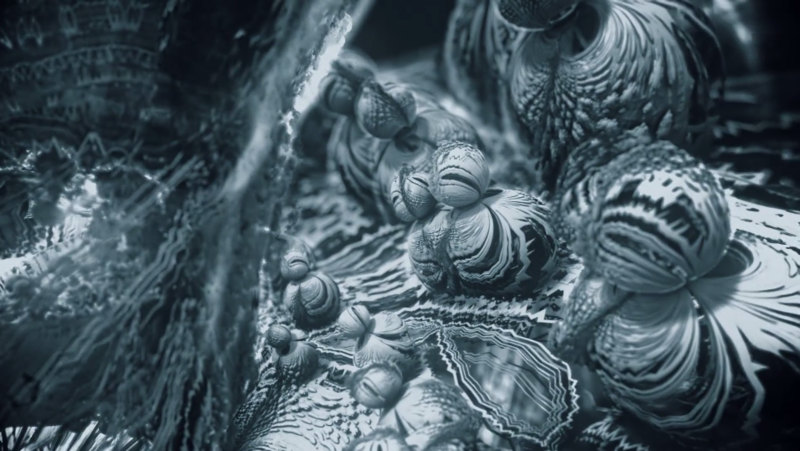 Paul : Three years ago, when I started rendering fractals in Mandelbulb3d, I thought that they looked very computer generated. Until I started turning them in Black&White. Suddenly, they looked alive, cinematic and real. When Eric (fraction) approached me with Isometric, I felt that it was right Music to go back to B&W. This is electronic music, but it feels really analogue in a way. I thought it was important to convey that feel into the fractals. I played with the depth of field to the music, to add some mysterious force. The pullout reveals more and more, as the music builds and matures. Fraction : I like the idea than after a while you forgot exactly where you started. And this year, Fraction is included in the list of artists! See the official page of the platform for more information.